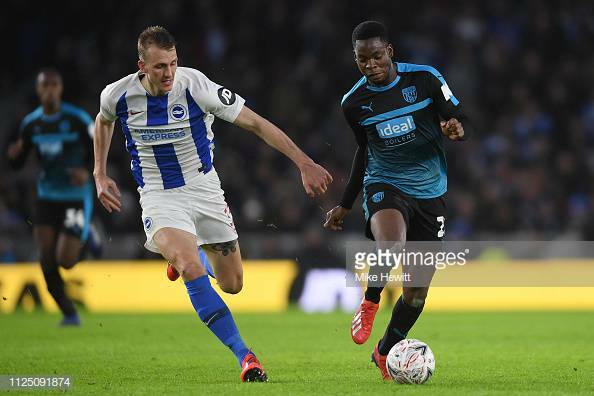 Dan Burn in action for Brighton against West Bromwich Albion, image courtesy of Mike Hewitt on Getty Images. Brighton defender, Dan Burn says the team are still 'upbeat' despite recent results not being ideal for the Seagulls. Brighton have only picked up two points in their last six Premier League games and have failed to win a game in the League in 2019. Despite this Burn said spirits are high: “I think we have still put in some decent performances, maybe we should have got a bit more against Watford. I think Burnley was a bit of a blip. However, the Seagulls FA Cup run has seen them in great form and only four rounds from the final and Burn explains why he thinks Brighton have performed so well in the cup: “I just think the lads who are playing are the lads that haven’t been playing a lot in the Premier League, so obviously they have a point to prove. The 6'7 centre half was asked about his fondest memory of playing in the FA Cup in his career: “Last season with Wigan when we beat Manchester City. We also played West Ham, Bournemouth and Southampton, so it was a good chance to test myself against Premier League players. “Obviously it’s a little bit different for me this year, as I’m part of a Premier League team against Championship players, so I will be on the other end of it." Burn was also asked how big an opportunity it is for the Seagulls to go on and win the FA Cup: “Yes we have a chance, no disrespect to Derby, they are flying in the Championship.